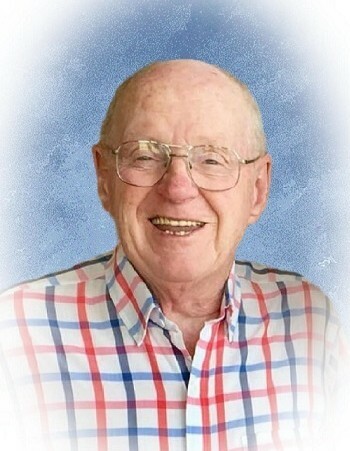 Obituary for Charles R. Shaffer | Knight-Confer Funeral Home, Inc.
Charles R. "Charlie" Shaffer, 80, of Cogan Station, died Saturday, April 6, 2019, at UPMC Mercy Pittsburgh. Surviving is his loving wife of 12 years, the former Joyce A. Wilson-Sarlo. Born Oct. 15, 1938, in Williamsport, he was a son of the late Harris M. and Roseanna G. (Sweet) Shaffer. Charlie was a 1957 graduate of Williamsport Area High School, WACC, Oswego State University and Penn State University. He served his country in the U.S. Navy, and worked as a machinist at Avco, a technician at Sylvania, a teacher at Williamsport Area Community College, and from 1974 to 1994 worked for the U.S. Department of Justice, Bureau of Prisons, in Lewisburg, as a vocational teacher and trainer. He retired in 1994 as a technical training and quality assurance manager from UNICOR. Charlie was active in the Williamsport Area Little League Big League Girls' Softball program from 1983 to 1986, where he managed the 1983 State Champion team and the 1984 and 1985 World Champion softball teams. Charlie enjoyed, traveling and cruising with his wife, gardening, skiing, fishing and spending time with his grandchildren. He was an avid Penn State sports fan and attended St. John's-Newberry United Methodist Church. Surviving in addition to his wife are his four daughters, Tammy S. Palumbo (Sam), of Charlotte, N.C.; Debra R. Eaton (Paul), of Elmhurst, Ill.; Kelley L. Frank (William), of Canadensis, Pa.; and Christine M. Hawkins (Paul), of Derwood, Md. ; five grandchildren, Meghan Marie (Matt), Benjamin L. Rowles, Jamison A. Rowles, Sarah E. Eaton and Martha L. Eaton; two great-granddaughters, twins, Mirra and Maci; a brother, Donald Shaffer (Joyce), of Williamsport, two sisters, Faye Carlisle-Thomas (Bob), of Cogan Station; Kathy White, of Williamsport; and several nieces and nephews. In addition to his parents Charlie was preceded in death by a brother, George Shaffer, and an infant son. A celebration of life service to honor Charlie's life will be held 11:30 a.m. Friday, April 12, at St. John's-Newberry United Methodist Church, 2101 Newberry St., Williamsport, with the Rev. Lenore Hosier officiating. The family will receive friends from 10:30 a.m. until time of service on Friday at church. Burial will be held privately in Beech Valley Cemetery. In lieu of flowers, memorial contributions may be made in Charlie's name to the West End Christian Community Center, 901 Diamond St., Williamsport, PA 17701.